Former CEO Indicted For Alleged Role In Deadly Mine Disaster : The Two-Way Don Blankenship is accused of defying safety regulators when he ran the Upper Big Branch coal mine in West Virginia. A blast at the mine killed 29 people in 2010. Don Blankenship, former CEO of Massey Energy, is accused of thwarting mine safety enforcement and conspiring to violate mine safety law. Massey Energy owned the Upper Big Branch mine in West Virginia, which exploded in 2010, killing 29. A federal grand jury in West Virginia has indicted former Massey Energy CEO Don Blankenship for allegedly thwarting mine safety enforcement and conspiring to violate mine safety law when the company owned the Upper Big Branch mine in West Virginia. In 2010, the mine exploded and 29 miners died. The indictment stems from that disaster and also accuses Blankenship of lying to the Securities and Exchange Commission about the company's safety practices and stock purchases. U.S. Attorney Booth Goodwin declined to comment. William Taylor, Blankenship's attorney, said in a statement that his client is innocent and will fight all charges. "His outspoken criticism of powerful bureaucrats has earned this indictment," Taylor said. "He will not yield to their effort to silence him." Blankenship has been an outspoken critic of mine safety measures and environmental policy. 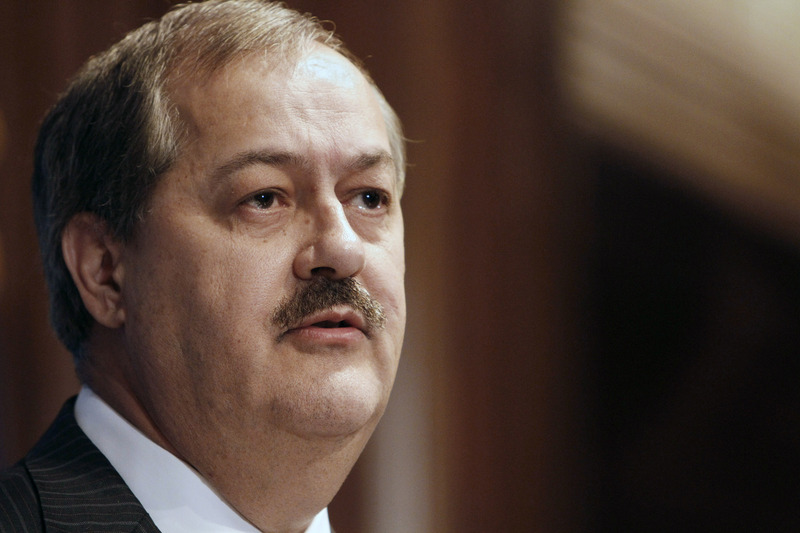 In a federal court hearing last year, a former president of one of Massey's subsidiary mining companies accused Blankenship of conspiring with him to warn miners and foremen underground when federal regulators arrived for surprise safety inspections. Former Massey executive David Hugart had already pleaded guilty to conspiracy charges. United Mine Workers President Cecil Roberts says the indictment brings families of the victims of the Upper Big Branch explosion and other accidents "one step closer to a measure of justice." "The carnage that was a recurring nightmare at Massey mines during Blankenship's tenure at the head of that company was unmatched," Roberts added. Massey mines became largely nonunion under Blankenship's management. Sen. Jay Rockefeller, D-W.Va., said in a statement that Blankenship "will be treated far fairer and with more dignity than he ever treated the miners he employed," as he goes to trial. "And frankly," Rockefeller added, "it's far more than he deserves." Blankenship suddenly left Massey Energy in December 2010 in a dispute with the company's board over sale of the company. In 2011, Alpha Natural Resources absorbed Massey, and Blankenship ended up with a departure package worth an estimated $86 million, according to an analysis of company records conducted by an investment banking firm. An independent investigation of the Upper Big Branch disaster commissioned by Joe Manchin, then the governor of West Virginia, concluded that the corporate culture at Massey put production before safety. If convicted of all four counts, Blankenship faces as much as 31 years in prison.